1988-2001 extensive coursework with Dawson Center for Advanced Dental Study with emphasis on Occlusion and TMD. 2006 Dr. Jennings furthered his study of Cosmetic Dentistry with such greats as Newton Fahl, Jr., Dr. Turbyfill, Jr. and Dr. Fondriest at the 2006 Thomas P. Hinman Dental Meeting. 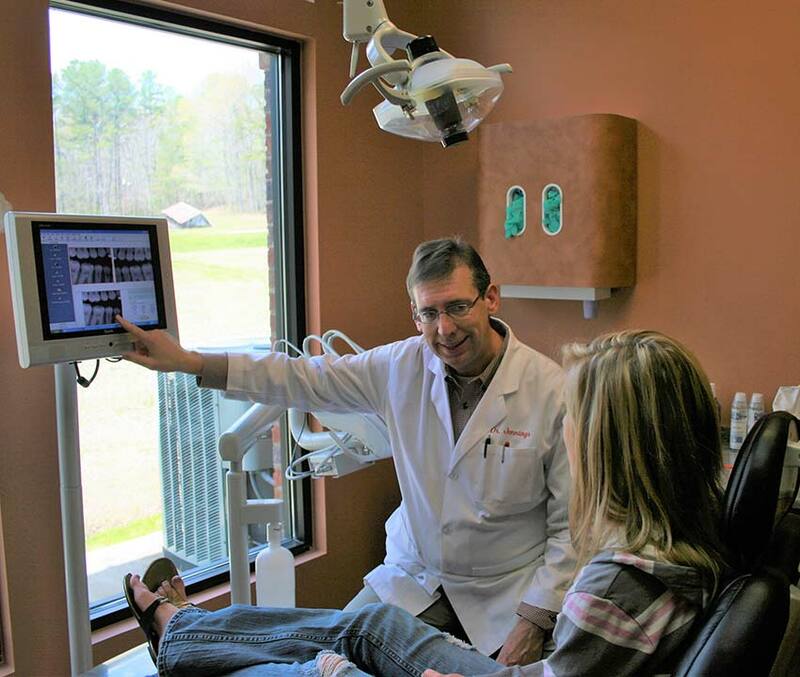 2007 Dr. Jennings renewed his commitment to treatment of Soft Tissue Management and Periodontal Disease. He continued his study of Implant Dentistry, Cosmetic Dentistry and solving complex dental cases at the 2007 Thomas P. Hinman Dental Meeting. 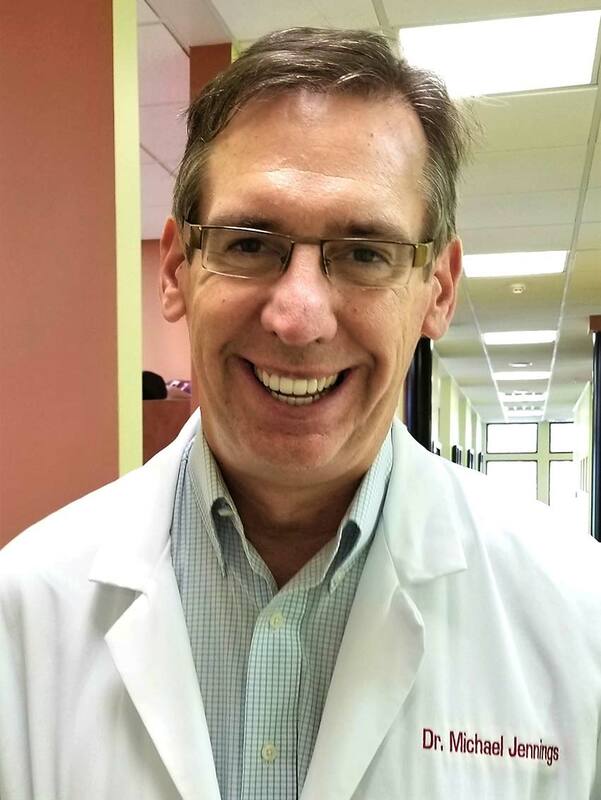 Dr. Jennings is a member of the Alabama Implant Study Group and spent time in Clearwater, Florida learning advanced technologies of Dental Implants. 2008 Dr. Jennings completed the Masters Implant Course with Drs. Resnik and Murphy of the Misch Implant Institute. He also spent time on the study of Implants and Progressive Veneer Techniques at University of Alabama School of Dentistry. Late in 2008, Dr. Jennings began a lengthy study of the latest in dentistry at the Pankey Institute in Key Biscayne, Florida. In keeping with administration of the dental office, Dr. Jennings spent time continuing to learn about the evolution of the computer age and the protection of his patients. Dr. Jennings always sees the importance of his dental team’s participation in keeping up with the most current Interdisciplinary approaches to both Cosmetic and Restorative Dentistry. 2009 Dr. Jennings began 2009 learning some state of the art techniques for fabricating Dentures with and without Implants with the University of Alabama Alumni Association. Dr. Jennings and his dental lab then spent time honing skills in the area of Centric Relation, Bite and Tooth proportion and position concerning Crown and Bridge with the Dawson Academy of St. Petersburgh, Florida as well as continued study with the Pankey Institute in Key Biscayne, Florida. In late 2009, Dr. Jennings began using Biolase’s WaterlaseMD Dental Laser System to continue growing with the dental technology of today. 2010 and 2011. Dr. Jennings continues to study with The Pankey Institiute for Advanced Dental Education in Key Biscayne, Florida. He continues to learn from Greats in the field of Dentistry at the Thomas P. Hinman Dental Meeting each year. He also continues to learn through the American Academy of Cosmetic Dentistry and the International Congress of Oral Implantology. 2012 - 2015. Dr. Jennings has continued to study with The Pankey Institute for Advanced Dental Education in Key Biscayne, Florida. He has also begun coursework with Frank Spear and Spear Education in Scotsdale, Arizona. He has spent time studying ideas for Restoration of Worn Dentition. As we live longer, we tend to have problems with wear. 2017 to present. Dr. Jennings continued to master the digital dentistry for making Snore Splints to help patients sleep better with better oxygen saturation. Dr. Jennings began to offer limited Orthodontic movement with Clear Correct Orthodontic splints. Dr. Jennings took a further step in his Dental Implant cases by using Cone Beam digital radiography for Implant placement. © Copyright 2018. Michael Jennings DMD. All Rights Reserved.